You might think that in order to remove a coffee stain off of your carpet, you need the best carpet shampooer. Well, in a way, you still need that, but that is not really the main event of the cleaning solutions that we are going to discuss. It is good to note that these techniques can also be used on coffee spills on clothes. So, how will you treat this coffee stain? Just like how to simply treat a stain, a good way of doing it is to tackle it as soon as it happens. As opposed to trying to remove it later on. Just remember, the longer that it stays on a spot, the harder it is to remove completely. 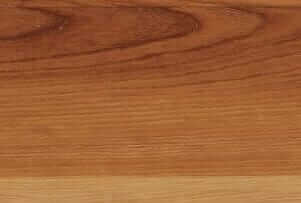 Therefore, worry about the specific cleaning solution later, all you have to do first is to remove the bulk of the stain. Are you now ready to clean that coffee stain? You really do not have to brace yourself for this ordeal because just like what we said earlier, there are very easy ways to do. What is interesting is the fact that the materials and tools that you need are readily available practically anywhere. Do you want to know the steps? Then keep on reading! The first thing that you should know is the fact that coffee stains have a high tendency to spread. We are talking about the fact that it will spread with either movement or even the increase of moisture. Therefore, you should always treat it from the outside going in. Also, you should not do any scrubbing because this might ruin the fibers of your carpet. What you should do is to do a pressing motion or blot. Take a clean and white cloth to blot the coffee stain as much as you can. Make sure that you consistently switch to a cleaner part of the cloth if the other parts already have stains on it. You can then use a little bit of cold water to spritz on top of the stain. Take another clean cloth and keep on blotting. Just keep on repeating this process until the stain is completely lifted off. However, this will depend on the type of coffee that you spilled. Also, do not saturate the area too much to prevent moisture buildup. After the stain is lifted, it is now time to whip out your carpet stain remover. Just use it based on its instructions and make sure that it will not ruin that part of the carpet. Remember to not spray a lot because this might be the way to easily attract dirt the next time around. Lastly, let your carpet dry completely. Let us now move on to the serious part. Why do we say so? 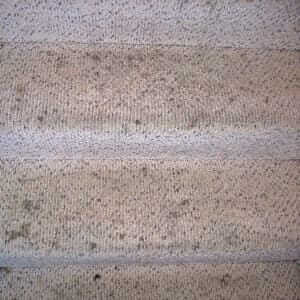 It is because you are now going to deal with a stain that has completely penetrated the fibers of your carpet. Again, as mentioned earlier, this might be very difficult to remove. But do not worry because we are here to assist you. First off, you should wet the area that was stained with cold water. Then, you can repeat the same steps as that of removing a fresh coffee stain. If the stain is still there then it is time to make your own cleaning solution. You can mix at least three drops of dish soap and mix it with water. You can then sponge it directly on the stain. Then you can take a dry cloth or towel and blot that area. Make sure that you are not rubbing. Alternate between the wet cloth and the dry cloth. The wet cloth is to saturate the stain and the dry cloth is to blot away the stain as well as the moisture. If your carpet is made of wool or wool blend, you can also blend in some ammonia (one tablespoon) with a cup of water. Do a spot test to make sure that the mixture will not ruin your carpet. Take yet another dry cloth and blot the stain away. Alternate again between the dry and wet cloth. Let the area dry completely before using the carpet cleaner. Let the carpet dry completely. The Coffee Stain is Back! What to Do ? There are instances that the stain will reappear. This is a surprise really, but in fact, it happens. This is because the original stain was not lifted out, instead, it blended in with the fibers. At the same time, this also happens when there was moisture left. So when it dries, the stain will resurface. You are left with a lighter circle coffee stain. What you can do is to just repeat the steps of the very first method that we discussed which is about removing fresh stains. Another thing that you can do is to place a towel on top of the stain and to put a heavy object on top of it and leave it there or a while. This will make sure that all of the moisture is absorbed. Lastly, use a fan to dry it quickly and completely. How to Deal with Coffee Creamer Stains? When it comes to dealing with a coffee stain which has cream on it, you just need to use a stronger cleaning solution. Keep in mind that we are not talking about three in one coffee, this will work for coffee which used a separate creamer may it be powder or liquid. You can use a pet carpet cleaner. This is great because it can break down the proteins in the stain. At the same time, it can also eliminate the odor. Just remember to rinse it off and let it dry completely. 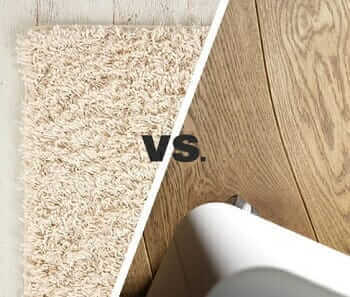 Definitely, the results of the methods that we mentioned may vary depending on the type of carpet that you have as well as the kind of coffee stain. If you have a carpet that has long fibers, then the chances are it will be more difficult to remove the stain. For this type of carpet, you just have to extend your blotting time. This is the case where a fan can really be helpful because it can easily dry the carpet. For those carpets that have wool or blended with wool, it is great to use ammonia. Just make sure to do a spot test beforehand so that the fibers of the carpet will not get damaged. Lastly, you can then clean it with a carpet cleaner by following the instructions of the manufacturer. Dry accordingly. 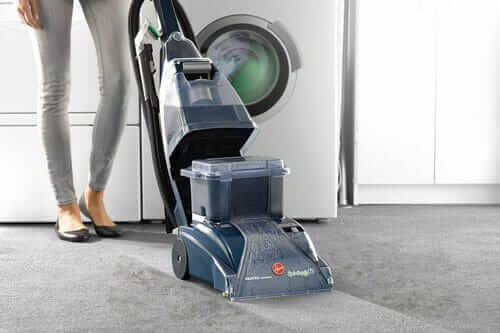 Let us now talk about some other cleaning solutions that you can try if some of the materials and tools that we mentioned earlier are not available. For those who are still dealing with old coffee stains, you can use salt on it. First off, you should first spritz a bit of cold water on the stain then apply salt on it. The use of salt can help absorb the coffee and the water as well from the carpet. This will significantly lighten the stain so it will be easier for you to see what you are working on. You can then vacuum the salt out and clean the carpet with a carpet cleaner. Another thing that you can use is lemon. This is extremely helpful if you are out and about and accidentally spilled coffee on your shirt. Definitely, it is a quick fix to make those dark spots lighter. For your carpet, you can also mix the lemon with your chosen carpet cleaner. It can remove the stain much faster. The last thing that we are going to talk about is surprising. You can use beer. Yes, you read that right, beer. You can directly apply it to the coffee stain. Then, you can use a dry cloth or towel to blot away the moisture. The properties in beer can also help draw out the coffee stain effectively. Who says that you cannot chill with a beer while cleaning? Those are some of the easiest ways on how to remove coffee stains from your carpet. Do you now believe us that it is very simple and easy? All you have to do is to master the art of blotting as well as making sure that you do not oversaturate the area because this will also add to the problem. Further, do not forget to dry it completely and make sure that there is no build up of moisture because this might pose the risk of the stain reappearing.